Alexander Thornton is currently on track to receive his Associates of Science in Network Server Administration at the end of May 2019. He has plans to peruse his Bachelors in Networking from Santa Fe college. He has earned several certifications over his high school and college career, including certifications in Photoshop, Premier Pro, and TestOut. Alexander began his IT career by working at a local computer repair shop in his home town. From that job grew a passion for technology that lead him to his current career path. 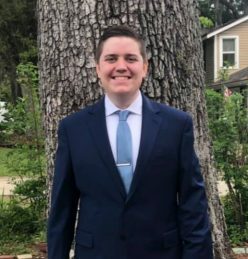 He is currently working at the University of Florida’s Department of Materials Science and Engineering, doing IT work part time while attending college.